The world’s most corrupt countries have been revealed in Transparency International’s 2017 Corruption Perceptions Index. The big movers in this year’s index are the UK, whose score has improved by eight points since 2012, and Australia, whose score has fallen by eight. The CPI ranks 180 countries and territories on how corrupt their public sector is perceived to be, based on sources including the views of business people and country experts. The index ranges from 0 (highly corrupt) to 100 (very clean). This year, the average country score was 43 and more than two-thirds of countries scored below 50. Transparency International said these countries carry a “high corruption burden”. But with 80 percent of global economic growth coming from emerging market and developing economies, today’s global organizations must balance opportunities for growth against risk exposure. The global extent of corruption shown in the Corruption Perceptions Index (CPI) only emphasizes the urgent need for any company operating internationally to have compliance due diligence and risk monitoring in place. Netherlands scored highly with 82, a slight fall from 83 last year and 84 the year before. United States was ranked 16th with a score of 75, which is a slight increase on 74 last year. Ireland was ranked 19th with 74, which is a slight increase from 73 last year and shows real progress compared to its score of 69 in 2012. The United Arab Emirates was ranked 21st with a score of 71, which is a significant improvement on the 66 it received last year. As in recent years, the top performing countries are New Zealand, Denmark, Finland, Norway, Switzerland, Singapore and Sweden. Identifying what characteristics the top performing countries have in common provides useful lessons for compliance professionals. This includes access to government budget information; high levels of integrity among people in power; and a judiciary that is objective and impartial. Transparency International also singled out the importance of a free press, noting “close linkages between corruption and the freedom of the press”. The lowest performing countries include Somalia, South Sudan, Syria, Afghanistan, Yemen, Sudan, Libya and North Korea, with scores of less than 20. Yemen, Syria and Hungary have seen their position on the CPI fall significantly in recent years. This could reflect accusations of human rights abuses against these regimes and instability from conflict. For governments, the lesson is that demonstrating trustworthiness and integrity can attract investment and business partnerships to the country. However, a risky political climate is only one type of risk that companies should consider when conducting due diligence and risk monitoring. The United Kingdom has been one of the biggest improvers in recent years, rising from a score of 74 in 2012 to 82 this year. Why might this be? Perhaps it is the rise in enforcement actions against bribery following the Anti-Bribery Act of 2010, which is recognised as a world leader on bribery legislation. In 2016, former Prime Minister David Cameron convened an Anti-Corruption Summit at which he committed the UK to implementing a public register of beneficial ownership. 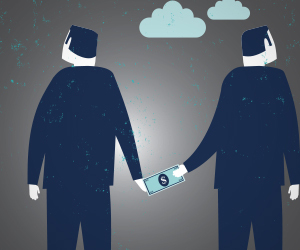 The UK’s Serious Fraud Office has shown increasing willingness to use Deferred Prosecution Agreements (DPAs) to secure settlements with companies accused of bribery and corruption. But there is no room for complacency: the UK must be careful to ensure that gaps in its anti-bribery and corruption legislation do not emerge when it leaves the EU. By contrast, Australia’s score has declined from 85 in 2012 to 77 this year. The fallout from the Panama Papers might explain some of this drop. The Australian Taxation Office (ATO) announced in April 2017 that it is investigating more than 800 high net worth Australian clients of the offshore law firm Mossack Fonseca over allegations related to the Panama Papers. The following month, the ATO faced its own embarrassment after the son of the country's deputy tax commissioner was arrested over an alleged $165 million (AUD) tax fraud. But there are reasons for optimism: this month, legislation is being debated in parliament which would establish new foreign bribery offences and a regime for DPAs. Experts predict this could improve Australia’s record of prosecuting companies and individuals for foreign bribery offence. The CPI reveals that the regions of the world most at risk of corruption are Sub-Saharan Africa, Eastern Europe, and Central Asia. The average scores of these regions range from 32 to 34. Enhanced due diligence is essential for any company when dealing with business partners k in these countries, because the risk of corruption is very high.